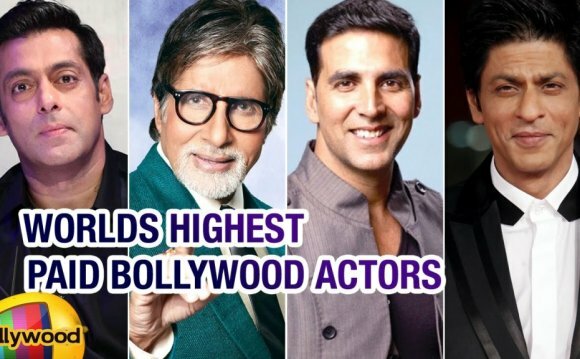 A report in The Hindustan Times that compares Bollywood actors' earnings in 2015 has placed the three Khans — Salman, Shahrukh and Aamir — at the top spot, with each earning between INR 40-45 crore per film. This doesn't come as a surprise, but what is rather shocking is the huge disparity between the estimated earnings of male stars versus female stars. While a rising male actor like Ranbir Kapoor is said to earn 20-25 crore per film, Anuskha Sharma, who starred in and produced surprise hit NH10, is said to earn only 6-8 crore per film. "I don't know why the pay gap exists, but I think it's because it's in our society, " said Anushka Sharma recently. "Boys are [seen as] more important." Ajay Devgn, who starred in just one film this year (Drishyam, also starring Tabu) is said to have raked in anywhere between 35-40 crore for his performance. Ditto Akshay Kumar, whose films Baby, Gabbar Is Back, Brothers and Singh Is Bling placed him just a few crore shy of joining the Khans' earning bracket. In stark contrast, 2015's stand-out actress Kangana Ranaut is said to earn just 10-12 crore per film. With hits like Tanu Weds Manu Returns under her belt, we're wondering why the discrepancy. Likewise, Aishwarya Rai Bachchan is said to earn between 5-7 crore per film. But perhaps most surprising are the estimates for Priyanka Chopra and Deepika Padukone, which place the actresses firmly in the 7-8 crore-per-film club. With Priyanka making waves in Hollywood with TV series Quantico and Deepika stealing the show in Piku, we expected heftier remuneration for the actresses. With Priyanka making waves in Hollywood with TV series and Deepika stealing the show in Piku, we expected heftier remuneration for the actresses. Anushka Sharma has spoken up the issue; she recently joined a host of Hollywood celebs who raised their voices in 2015 to speak out against gender-based wage differentials in the entertainment industry. "A male newcomer and female newcomer will get paid differently, " said Sharma in an interview with Anupama Chopra. "You're a newcomer... no one knows who you are, man or woman doesn't matter. It's just assumed that men need more money. I think people think that men need to run a family and women are looked after. I'm not saying this out of greed — I'm just saying value me. At the end of the day, you want respect. And when you pay me less money, you're telling me I'm not as valuable." "I don't know why [the pay gap exists], but I think it's because it's in our society, " she continued. "Boys are [seen as] more important." Is Hrithik Roshan the Highest Paid Bollywood Actor?